Margaret Kinsey is a needle artist, designer and teacher. She is an EGA Certified Teacher in Silk and Metal thread Techniques. She is certified to teach Japanese Embroidery. She is the designated US teacher for the Kunimitsu studio, and studies Rozashi with Fumiko Ozaki of Tokyo, Japan. Margaret continues her studies with the Japanese Embroidery Center in Atlanta. Margaret has taught internationally and has taught and lectured at all levels of The Embroiderers’ Guild of America, Inc. (EGA). 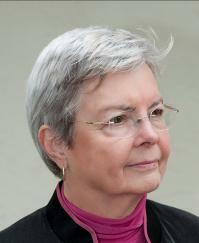 Additionally, she has taught and lectured at the chapter and national levels for the American Needlepoint Guild (ANG). Margaret’s work has been sold and is on display in many countries of the world. She has had her work exhibited in a wide variety of invitational and juried shows throughout the U.S. Margaret received the National EGA Golden Thread Award in 2008. She lives in Deltona, Florida.